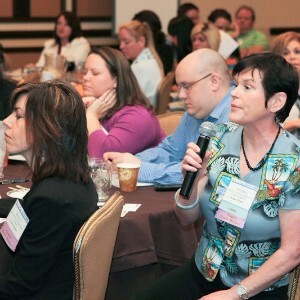 HSMAI is the hospitality industry source for knowledge, community, and recognition for leaders committed to professional development, sales growth, revenue optimization, marketing, and branding. HSMAI is a global organization of sales and marketing professionals representing all segments of the hospitality industry. With a strong focus on education, HSMAI has become the industry champion in identifying and communicating trends in the hospitality industry while operating as a leading voice for both hospitality and sales and marketing management disciplines, as well as connecting its members with customers. Founded in 1927, HSMAI is an individual membership organization comprised of nearly 7,000 members from 35 countries and chapters worldwide. HSMAI’s Americas Region, headquartered in McLean, VA, consists of 38 chapters in three countries. HSMAI’s European Region, headquartered in Oslo, Norway, consists of five national chapters in Europe. HSMAI Asia Pacific, headquartered in Singapore, has chapters in Singapore, Hong Kong/Macau. A chapter has also been chartered in the United Arab Emirates. The HSMAI Foundation was established in 1983 to serve as the research and educational arm of HSMAI. Welcome, you're on the list! Join HSMAI Oregon members and guests for exciting events planned each month for your benefit and education! How do you find the time to cut through the clutter and focus on those opportunities which will be most effective for you? Why not let HSMAI help you get direction. Does your organization want to get in front of hospitality industry professionals to grow your business? If so you should consider becoming an event sponsor.